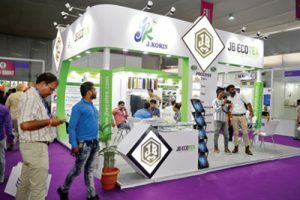 The fibres to accessories trade show; YFA 2018 which was held from 30, 31 August & 1 September, 2018 in Dana Mandi, Ludhiana, saw 5,345 quality buyers. A total of 52 exhibitors participated at the show also expressed huge satisfaction with the numbers as well as the quality of the buyers. 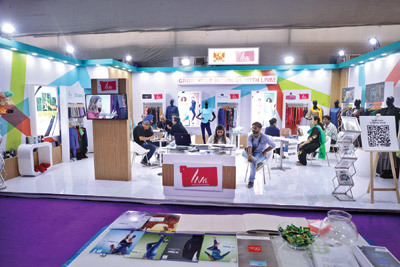 In YFA Ludhiana edition mostly companies showcased innovative yarns, fabrics and garment accessories. 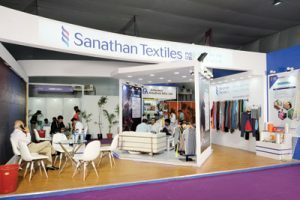 The exhibitor list included the who’s who of the Indian and global textile industry from the textile value-chain beginning from fibres till garment accessories, including the likes of Reliance Industries Limited, Sanathan Textiles, Bhilosa Industries Pvt. 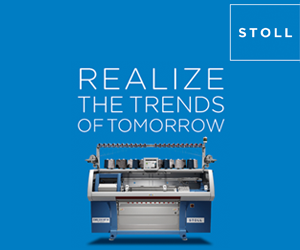 Ltd. Aditya Birla Grasim (LIVA), Aditya Birla (RAYSIL), Perfect Filaments Limited, Oswal Woollen Mills Ltd, Vardhman Textiles Limited, Siyaram Silk Mills Limited, Jain Cord Industries, Indorama Synthetics India Limited, Filatex India limited, Sutlej Textiles Limited (Chenab Group) Lenzing AG India, Kudu Knit Fab, Arvind Limited, RSWM Ltd, Everflow Petrofils Ltd., GTN Engineering India Limited, Nandan Denim Limited, Om Denim, Gillanders Arbuthnot & Co. Ltd., Pallava Group, Balavigna Weaving Mills, Kautilya Industries Pvt. 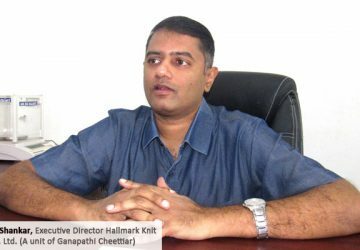 Ltd., Arisudana Industries Limited, Alkey Synthetics, JB Ecotex, Alps Industries Limited and many others. 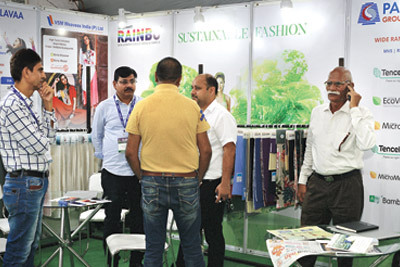 These companies exhibited and a few even launched the most innovative and latest developments in value-added textile products like speciality fibres, multifunctional yarns, mélange yarns, embroidery yarn, bamboo fabrics, silk fabrics, modal fabrics, knitted fabrics, Indigo yarns, denim fabrics and several unique garment accessories. 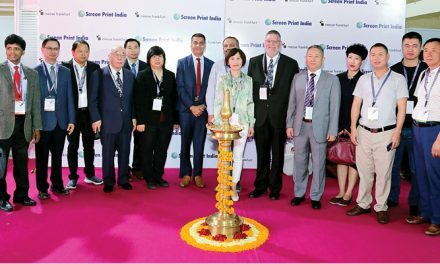 Among the visitors who visited YFA 2018,included decision makers like owners, sourcing head’s, purchase manager’s, head merchandiser’s, sales head’s and country managers of buying houses, export houses & domestic manufacturers. 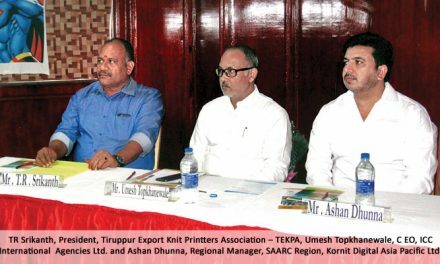 These esteemed visitors came from composite mills, spinning mills, knitters, weavers, yarn agents, exporters, buying houses, trading houses, designers, retail chains, etc. These visitors came from across India from various textile and apparel hubs like, Ludhiana, Panipat, Amritsar, Delhi & NCR , Bhilwara, Chennai, Mumbai, Ahmedabad, Kolkata, Jaipur, Kanpur, Meerut, Banaras, Surat, Tirupur and Northern India, which includes Punjab, Haryana, etc. There were also foreign visitors from Syria, Honduras, Sweden, Bangladesh, Brazil, Dubai, Argentina, Uzbekistan, Turkey and Iran. 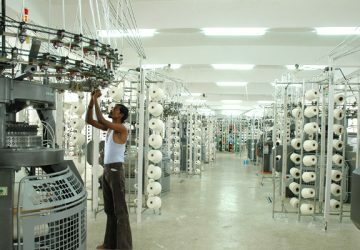 “Siyaram Silk Mills is a manufacturer of indigo, sulphur, reactive, disperse and space dyed yarns. The show was awesome for us. We got overwhelming response for our Indigo Yarn. 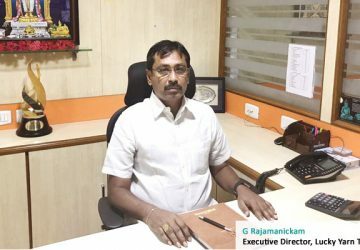 There were many buyers who were looking for us and we will be definitely be receiving orders from many of them in the near future,” Pawan Poddar, Joint Managing Director, Siyaram Silks Mills stated. 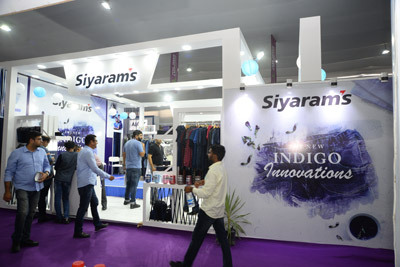 Siyaram also organised grand Fashion Shows at YFA Ludhiana Showcasing latest fashion trends in indigo, sulphur, reactive, disperse and space dyed yarns on all three days. 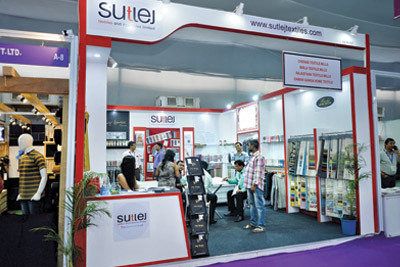 “We met many new as well as existing buyers. 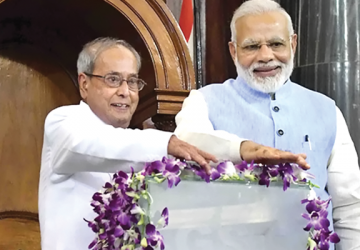 Most of all, it was much more beyond satisfaction once again, to revive relations with our old buyers. We send our best wishes for the success of the next show in 2019, and look forward to participating at 2019 edition of Ludhiana show,” Raj Kapadia, President (Yarn Marketing) at Sanathan Textiles Private Limited, Mumbai said. 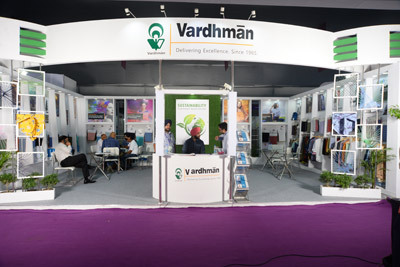 “We are producers of various qualities of yarns and are participating for the first time at the YFA Ludhiana 2018 Show. 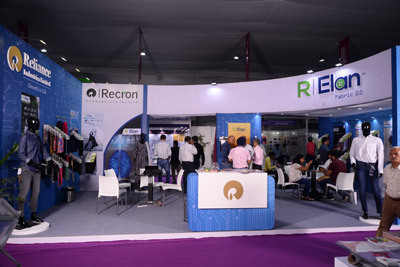 It is a very good exhibition as we met a lot of existing, old and also several new buyers. 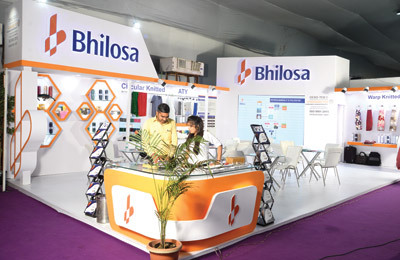 We have had genuine and new visitors visiting our stall, due to which, we are more than satisfied with our participation at the show,” MS Negi, GM (Marketing), Alps Industries Limited stated. 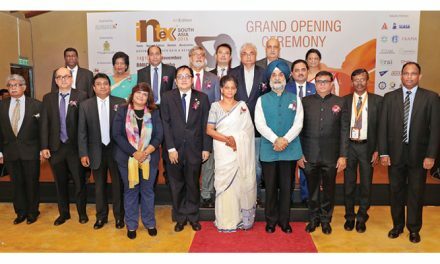 “Our experience of the show has been good and we are very happy that we participated at YFA Ludhiana 2018. We had a good number of buyers visiting our stall. 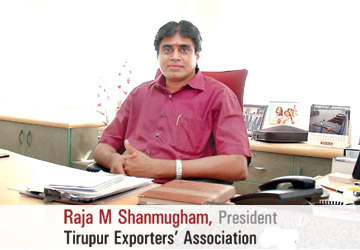 We met many buyers, exporters, etc. 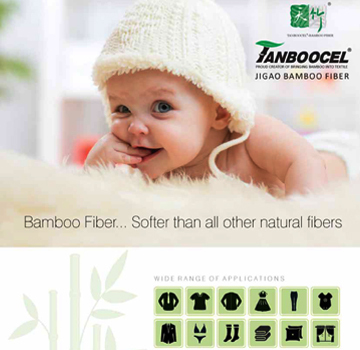 and also from foreign countries and booked few orders also,” said Kevin Chao, Jingletex Development Co. Ltd. from Taiwan. 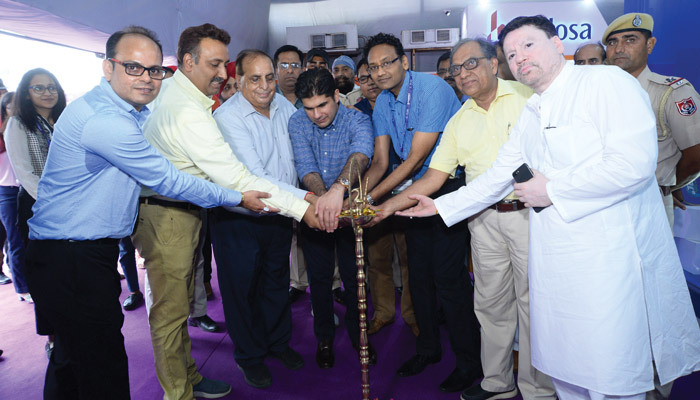 “We thank all the participating exhibitors as well as those who visited the show for making Ludhiana’s first everedition of YFA Ludhiana 2018 extremely successful. The 2018 Ludhiana edition saw participation of 52 exhibitors. 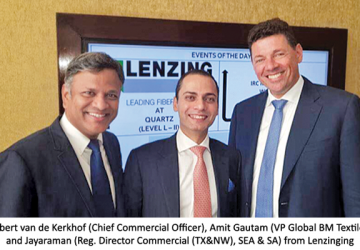 The show was visited by 5,345 quality buyers, which is a considerable high number at a time,” the organizer duo of Abhishek Sharma and Ankur Goel said. 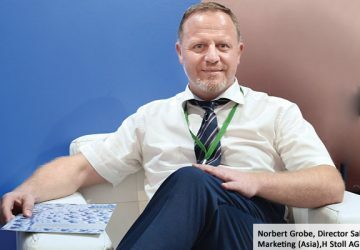 “As in the earlier edition, this time too, we have noted all the observations made by exhibitors and visitors and will implement them in the 2019 edition, to make participation of exhibitors and visits of buyers more successful. 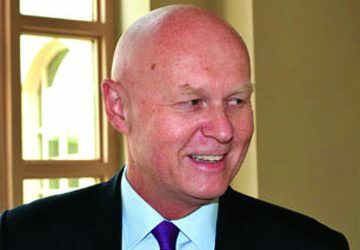 We look forward to welcoming back all participating exhibitors and the buyers for the YFA 2019 show too,” they stated. 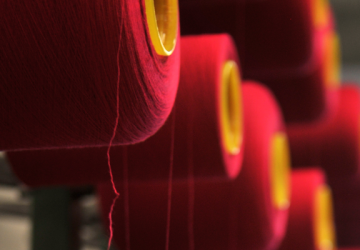 “We came here looking for yarns, fabrics as well as accessories. 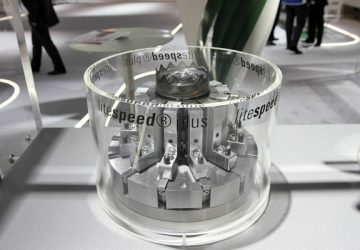 Our experience has been very good. 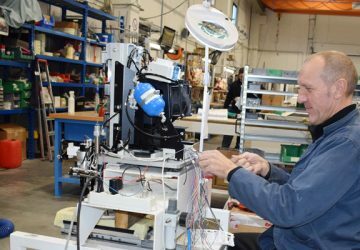 This visit will help us source all these raw materials for our manufacturing unit. 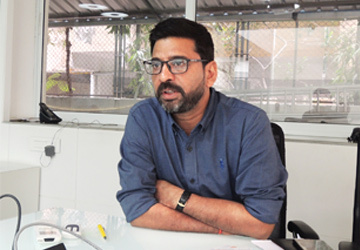 The YFA Ludhiana 2018 Show has proved to be a one-stop platform for all our sourcing needs,” Amit Sharma, Molten Lifestyle, New Delhi, which is an apparel sourcing company and which has recently set-up its own manufacturing unit added. 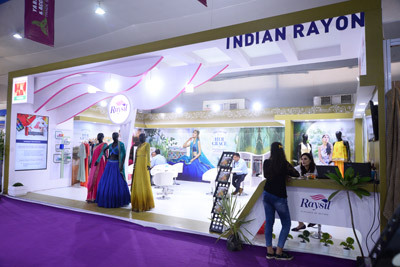 According to Divya, Founder, Dawar Fashions, New Delhi, she had a great time, as she came across new yarn and fabrics, which she has been seeking since a long time and that was really a great experience and looks forward to again visiting the next edition. 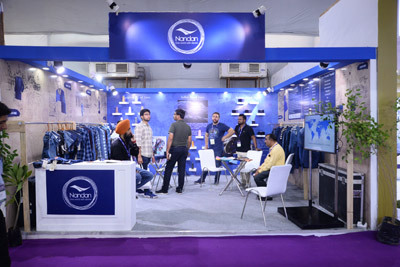 Divya came to YFA Ludhiana 2018 mainly to see new and unique yarn and fabrics, as their customers keep demanding new products from different yarns. 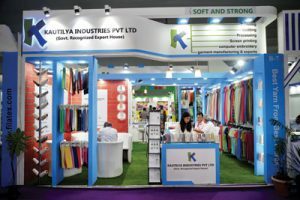 “We are yarn merchants and my experience has been very good at the YFA Ludhiana 2018 show. 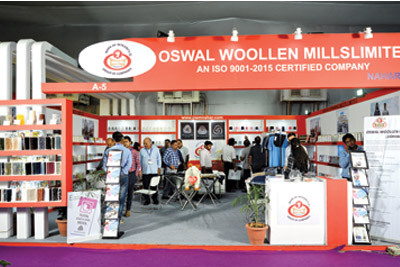 I came here looking for innovative and new yarns and I was able to find a good variety of yarns at almost every stall who exhibited here, I am glad I came here and will surely visit the next edition too,” Gaurav Pradhan from Pradhan Agencies, Amritsar stated.